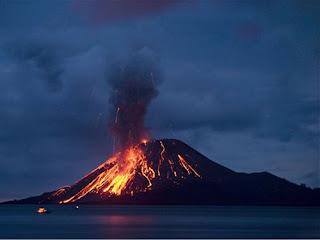 Krakatau is an inhabited island and loca¬ted on the southern part of the Bay of Lampung. Krakatau is reachable in three hours by boat from Canti, a fishing village near Kalianda, South Lampung. Anak Krakatau (Child of Krakatau) is still growing, first emerging from the sea in early 1928, 45 years after the legendary eruption in 1883.